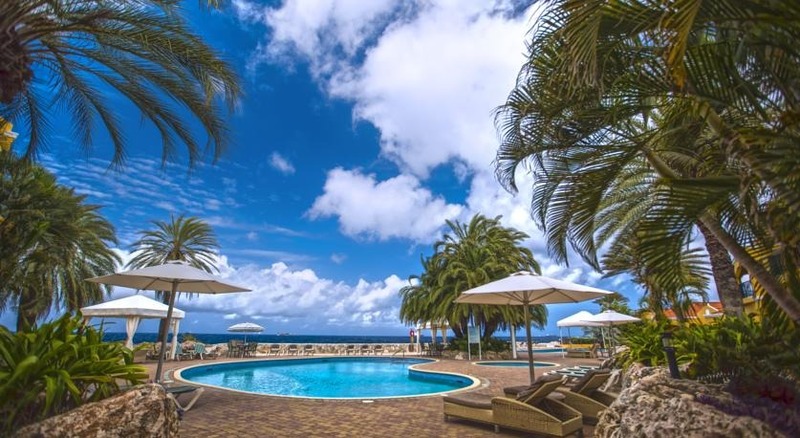 Located on a private island next to Curacao Sea Aquarium, the Royal Sea Aquarium Resort features two swimming pools, a hot tub and a private beach. Resort highlights include a beachfront restaurant and free access to the aquarium. Each air-conditioned suite at the Royal Sea Aquarium has a balcony with views of the sea. All suites have free Wi-Fi, a safe and a flat-screen TV with cable channels, plus fully equipped kitchen or kitchenette. 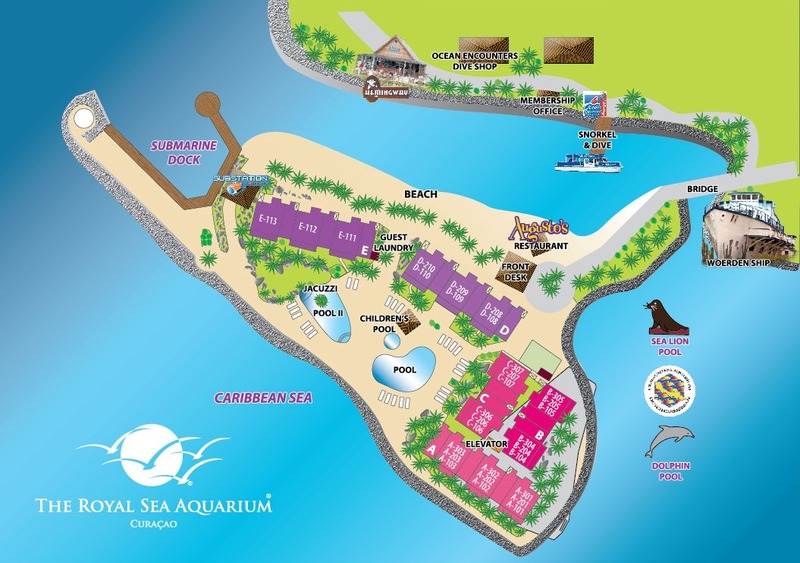 The Ocean Encounters dive center and Sea Aquarium Beach are within a short walk of the Royal Sea Aquarium Resort. Willemstad is just a ten-minute drive away. Fly into Curacao International Airport (CUR), Willemstad, Curacao. The Royal Sea Aquarium Resort is about 30 minutes from the airport. The resort is on a private island that connects to the mainland via a bridge. Visit The Royal Sea Aquarium Resort’s website for more information.